My wife and I are recently victims of identity theft and retail fraud. I am going to tell you who did it, and where and when it happened. We would like them prosecuted to the fullest extent of the law. On Sept 30th a Comcast van showed up in our driveway. My wife doesn’t answer the door when she’s home alone and not expecting anyone. 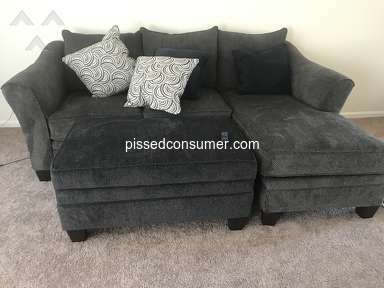 Comcast service manage called the house to verify the address and she informed him that we are with Verizon and that we never signed up for Comcast. He apologized for the inconvenience and the van left. At this time we just thought it was a strange mistake but never connected it to the Best Buy conversation. Then on Oct 2nd we woke up to no dial tone on our house phone or our business fax line. At this point we thought it was possible that a wire was loose or just old. When I got home from work and verified that the wiring was intact, I called Verizon. They informed me that our phone number of 16 years was ported over to Comcast upon Comcast request. 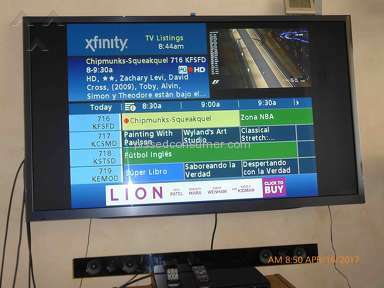 They told us the request was made on Sept. 6th, which happens to be the day I bought the TV. We were also informed that this caused our contract to be cancelled which would result in more fees. Also because we were no longer in a “triple play’ we would not be getting a discounted price for the TV and internet, which were not interrupted at any point. I promptly called the salesman, gave him a piece of my mind and told him he needed to fix it. He apologized for his mistake and told me I had to call Comcast, which I did. I believe he committed this fraudulent act to collect a commission. Comcast said they would cancel the request and send the number back over to Verizon and everything would be fine. How wrong they were. We are going on the 9th day of not having a personal landline or a business fax line. We have spent countless hours on business cell phones trying to resolve this situation ourselves. We have all the phone records and contacts we have talked to including Peter the Comcast district manager, who called us once and never again and various others with the same result. Verizon told us that they cannot retrieve the number because of what Comcast did. Since the number was never active with Comcast, they were unable to port it back. Now we are in a hopeless deadlock between them. Comcast blames Verizon and Verizon blames Comcast. NOTHING is getting done and we are stuck with no phone and a higher bill because of it. I have requested conference calls, talked to managers, corporate offices, my local police department and lawyers. 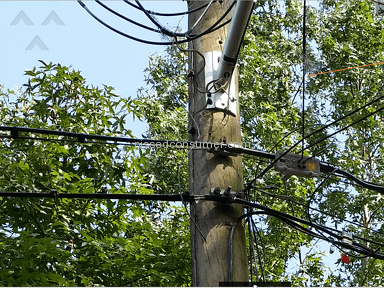 We contacted the police on recommendations of 2 lawyers and 1 Comcast representative. We will be filing a police report and pressing charges if possible. This situation is one that should never happen to anyone. Aren’t there federal laws to protect against this activity? The only paperwork on this is a handwritten estimate by Vincent on Sept 6th. 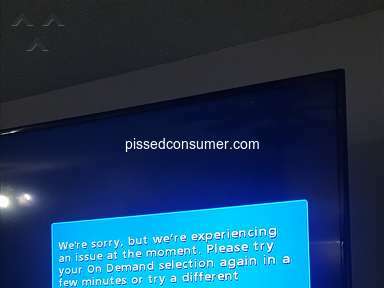 We never gave consent to Comcast to start service or to Verizon to cancel service nor were we aware that any of this was happening until our phone was off. There is NO Third Party Verification, NO signatures and the Phone number wasn’t even in my name. We run a small business from our house and depend on both of those lines daily. We have children in school, doctors and sick relatives that all communicate with that phone number. Our entire life was violated by Comcast and now we are being told by Verizon that we may not get it back. This situation started as retail theft/fraud and identity theft ( a phone number is as identifiable as a SSN is it not?) 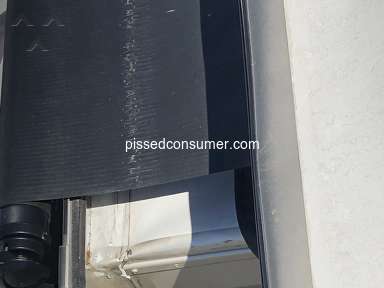 and was made SO much worse and possibly unfixable by lack of cooperation and general non caring attitude Comcast has given. We are also deeply disappointed and betrayed by Verizon as they allowed this to happen after 16 straight years of loyal patronage. 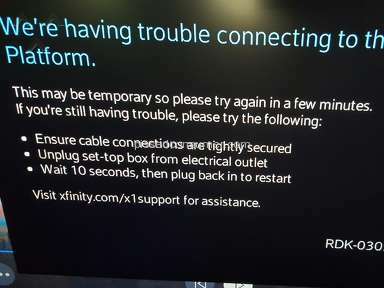 This happened without our consent or knowledge and Comcast should be held accountable and be forced to pay restitution for damages and losses sustained by allowing this criminal activity to happen. We have read similar stories online. We would like to know what you are willing to do about this. Thank You in advance for your cooperation. Review #381947 is a subjective opinion of Ronzig. Same thing happened to me. I tried to get additional cable channels to watch football. Was told I needed to upgrade cable and by the way, would I be interested in the triple play. I actually did sign up, went through the verification process and they told me the cable channels would be working within 20 minutes. 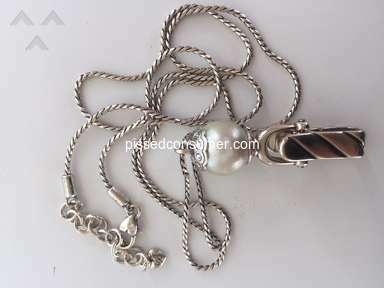 Cable channels never worked, so I called about an hour later and cancelled the whole order, including phone. 3 days later, my phone went dead. I'm now waiting 2 weeks to have it turned back on. Comcast claims they never took my number. They claim my phone company still owns it and they turned it off. Hmmm, interesting. The phone company showed me the order from Comcast in person. You can't PORT over a number without a Third Party Verification. TPV is usually done at the point of sale and recorded. The only way a port is successful is if the install HAPPENS. If the Comcast van showed up and you told the manager it was not going to happen, then there is no way for the port to complete. There are missing pieces to this story. Under your interpretation, there would be millions of "stolen numbers" if a company could unilaterally port the number without a COMPLETED SALE or VERIFICATION. This is year 2013 and it simply doesn't work that way. Now what could have happened is you agreed to setup service with Vincent and decided to cancel last minute. Yes you are correct There is not SUPPOSED to be any way for the PORT to take place without either an install or TPV. I have a close friend that installs for Comcast and know how its supposed to work. Why it didn't, we have no idea. Somehow apparently we slipped thru the precautions set in place. Verizon has acknowledged their mistake and even admitted there was no TVP. Comcast also admitted that it should not have happened. The only pieces missing in this story is why Vinnie decided to complete the process. The only paperwork he gave me was a handwritten estimate. There was NOT any agreement and the last words I spoke to him on that day were "I will call you IF we decide to leave Verizon". He had many opportunities correct this and didn't which proves negligence. This phone number was in my wifes maiden name as she never switched the name on the contract over when we got married. So I would not have been able to complete anything even IF I wanted to. So yes it is apparently possible to sign someone else up for a service they don't want or need. I realize this is 2013 and there are a lot of crazy people out there doing selfish things to fatten their own pocket at the expense of others, Vinnie. I can assure you that I have much better things to do than to deal with this. I just want it to be perfectly clear to everyone that this IS what happened. Verizon ended up helping us out tremendously by putting out a rock ticket to force Comcast to get our number back...9 days later. Comcast not only refused to help but on a few occasions even told us that it never happened. As if they would be able to brainwash me into thinking it was all just a dream. Once again proving to us why we left them 15 years ago and will never go back. We were totally unaware of what had happened until we woke to no phone, so how can you change your mind when you did not even know something was happening. I only hope that this reaches the proper people to enforce changes. I know a copy of this has gone to the attorney general. And we are still exploring the possibility of criminal charges. I will be more than happy to tell my story on a stack of bibles as it is the truth, the whole truth, and nothing but the truth. "a phone number is as identifiable as a SSN is it not?" No - it is not. As you have seen, phone numbers are transferable and not tied to any one individual. This is not identity theft. This is an over eager salesman pulling a fast one. Never give out any info to anyone unless you intend to do business with them. I agree what they did was wrong but not the "disaster" you make it out to be. If communication is that critical, go buy a tracphone for temporary use and make sure everyone gets the number. You'll probably spend thirty bucks or so and can recover that when it's all straightened out. Just curious - how is it that you were able to track down and speak to the salesman? Our phone number has identified us with schools, doctors, most accounts, its on my business cards, and we have had it for 16 years. That makes it part of our identity. We have paid our bill on time every month of those years because we did not want interruption with our service and phone not shut off, due to there is 5 of us living here and use phone and fax very often . For Comcast to come in and steal it from verizon in an attempt to force us to change services is not only wrong but probably illegal. I guess that is for the attorney general to figure out. There are all laws that allow you to keep your phone number as long as you want, it is up to ME to change my number NOT Comcast! As for getting a track phone, you want to get a hold of 16 years of contacts?? That's including we run a business out of our home, Schools, Doctors, Ortho, Dentists, all Utility Bills, and that's naming just a few. We do not have the time to do so because we have a business to run and children to look over. So you are the type person that can change your life and it will not bother you (until it happens to you). Most people with a family and a business do not have the time for that, especially when we did not cause this to happen to begin with!! That over eager sales Rep should be fired and held responsible for this. We can give number out to who ever we want that does not mean they take that and set an account up without our knowledge, by doing that it took us out of a contract,no phone/fax for over a week and lots of fees. Also that number was not in my name to begin with. Track down?? what does that mean?? He gave us his business card along with a hand written est. so if we decided to switch to Comcast(after Verizon's contract). Comcast did nothing to fix this it took us to fix it on our own with verizons help when they realized what was done. You must in some way be affiliated with Comcast, you seem very upset about this. Bottom line is we were with Verizon 16 years and it took 1 guy who wanted commission to take it upon himself to take phone number and make a big mess(WITH NO CONCENT,SIGNATURE,NOTHING)It is more then just wrong and I will not stop telling this to who ever listens!!! !